Whitewater Rafts Guides Needed! Join one of our Guide Schools today! 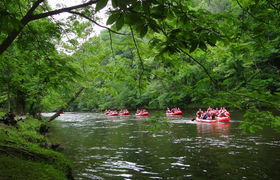 We are located in beautiful Hartford, Tennessee - just outside the Smoky Mountain National Park.